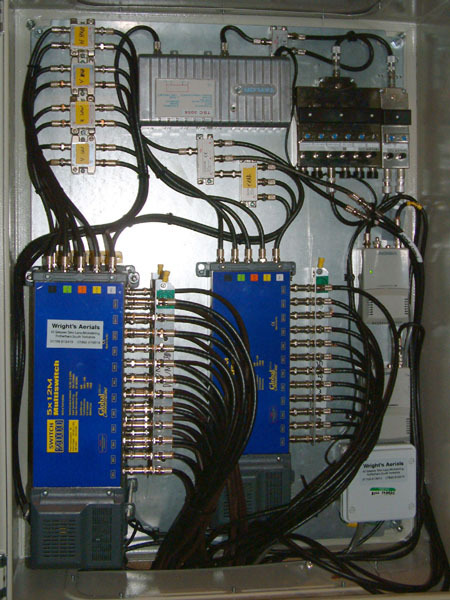 Our main business is the installation and maintenance of commercial RF distribution systems. Typically these are in residential developments, universities, hospitals, prisons, and very large private houses. A look at our client list will give you some idea of the variety of commercial work we undertake. Tell us what you need. Even if it's a bit unusual, the chances are we will have done something similar in the past. If not, we'll research it. 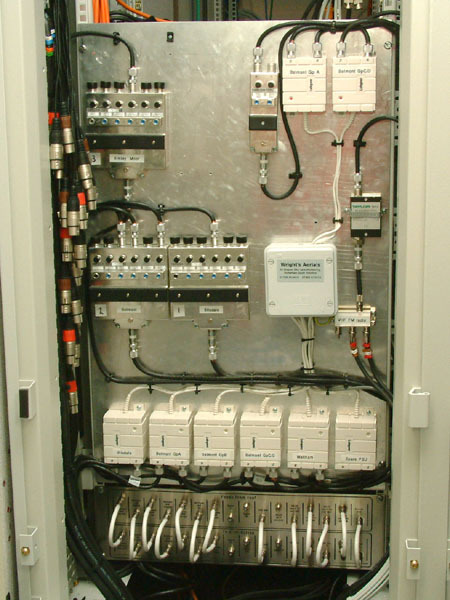 Typical systems include the distribution of satellite IF, in-house channels from PC or DVD, and CCTV images and audio. 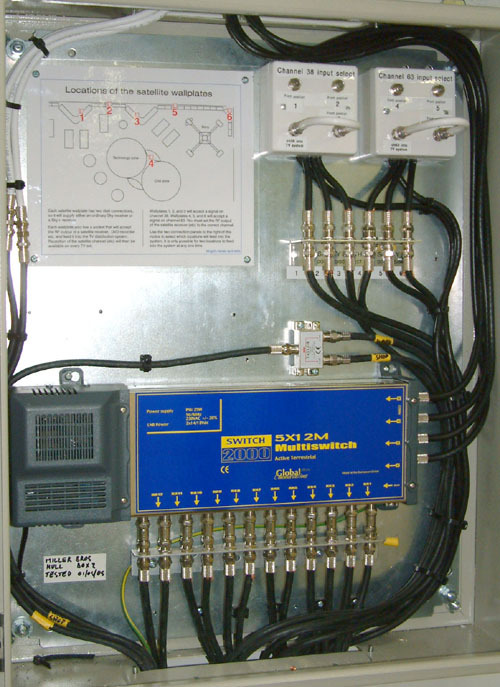 Systems can carry analogue TV channels, digital TV multiplexes, or both. 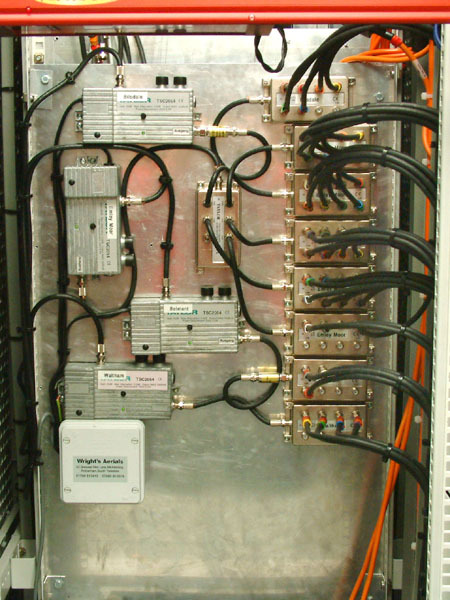 VHF-FM and VHF-DAB radio can be added. We specialise in complex head-ends with large numbers of VSB modulators. 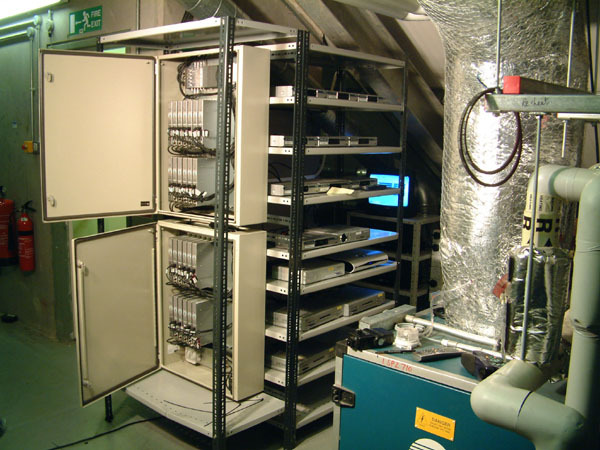 As well as carrying out routine maintenance we can upgrade your existing system. The addition of in-house channels, such as DVD channels, bulletin boards, etc. In the field of large commercial TV systems, quite often a customer looking for either a new system or the upgrade of an existing one will need a lot of help in order to figure out how their requirements square with what’s available (and practicable), and how these requirements can be achieved in a cost-effective way. We excel at proving that sort of help, and once we’re on board we can start with your wish list and set out the different ways that the desired ends can be achieved, and at what cost. If you need detailed help with a project before the point where you can give us a firm order, please take a look at the consultancy services we offer.